Ronald is a Founding Partner of Pro-invest and has been the Group’s Chief Executive Officer since its inception. He has over 45 years of real estate investment, development and project management experience working on a variety of transactional projects in Europe, GCC and Asia. Previously, he was the CEO and latterly a main board director of ALDAR Properties PJSC under which mandates he overviewed an overall development program in excess of USD 75bn as part of mixed used schemes in Abu Dhabi, UAE. This included hotel developments valued at USD 4bn comprising for instance the development of the world renowned Yas Island, home to F1 in Abu Dhabi which was developed between 2005 and 2009. Prior to this, Ronald created and managed his own real estate companies with assets in Europe and Australia with multiple exits through trade sales to parties such as Westfield and Mutliplex and IPOs (LSE) in Europe. 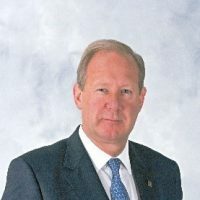 Ron was the Founder, CEO and Chairman of Stannifer Hotels UK which was Stannifer Group’s answer to the upcoming demand of for Quality Limited Service Hotels. Stannifer Hotels UK developed and operated 15 new build quality limited service hotels and became one of the largest and most successful QLS hotel developers, owners and operators in the UK with more than 2000 bedrooms. Under his leadership, Stannifer Hotels designed, developed and operated a portfolio of 15 Holiday Inn Express hotels in the UK as well as created, designed and developed the first Ramada Encore hotel globally in partnership with Marriott International. Ronald is a Fellow of the Royal Institute of Chartered Surveyors.